Beginning a commercial construction endeavor can be intimidating. You’ve got to determine a budget, develop a plan, set a schedule and understand the risks… and that’s just the early phases! Once the project begins, you’ll find yourself relying on third parties to execute your plan. This is where the help of a seasoned professional comes in handy. JGBowers, Inc. has been in the commercial construction industry for 34 years and, during that time, has gained the knowledge, skill and ability necessary to bring your project to fruition. Staffed by a team of lead people with a minimum of 15 years of service in commercial construction, JGBowers isn’t just a construction company, we’re a comprehensive solution to all of your commercial construction needs. From the moment you break ground, the team at JGBowers is there, walking beside you during the entire construction process. We have staff on hand to provide a wide range of services, eliminating the need for you to source work from additional contractors or sub-contractors. We can help you with architectural drawings, scheduling, carpentry, finishing, administration and more. In addition to these services, our subsidiary, Advanced Cabinet Systems, can work with you during – or after – construction to create interior commercial casework and display fixtures. In this way, JGBowers is there even after construction is complete, ensuring a consistent, unified feel is achieved not only in your building’s architecture, but throughout its entire exterior and interior. At JGBowers, our mission is to do whatever it takes to meet our customers’ commercial construction needs. Always on the lookout for better, improved ways to do things, we aren’t satisfied with performing at standard levels. Our customers deserve better than average: they deserve the best. 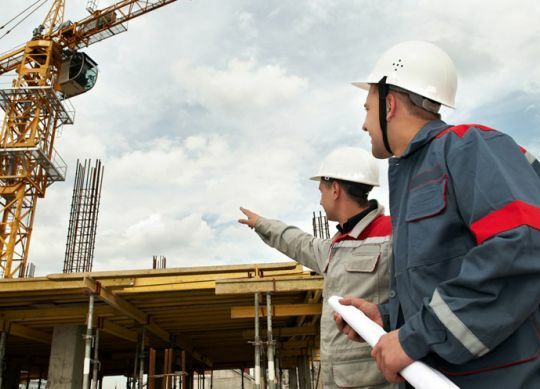 So, if you’ve been looking for a committed partner to work alongside you during your commercial construction project, call the construction veterans at JGBowers Inc. and let us make your project a little easier.